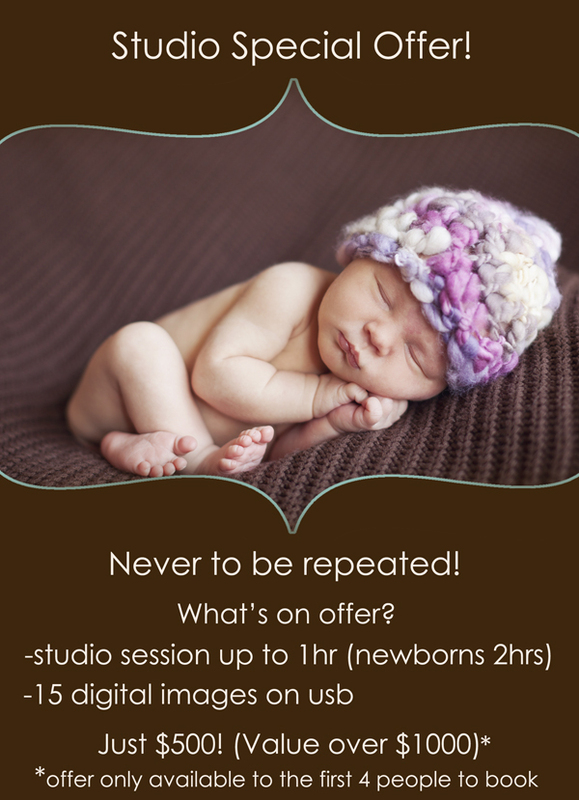 Studio special offer! Will not be repeated! I’m working on setting my studio up, a place for you to come and feel relaxed, at home and watch your beautiful baby’s images be created! It’s almost finished! I wanted to offer a few people a sneak peek into this space. The studio is located on 3 beautiful acres at Wamberal. You will have full access to my wide variety of props and outdoor locations, there is even a unique wooden bridge! To be one of those first to preview you will need to take advantage of the below offer, it will never be repeated! This offer is available to the first four people that book and pay in full! Hurry, don’t wait or you will miss this great opportunity to capture the most beautiful photographs of your baby! Session is to be held in February, March or April.